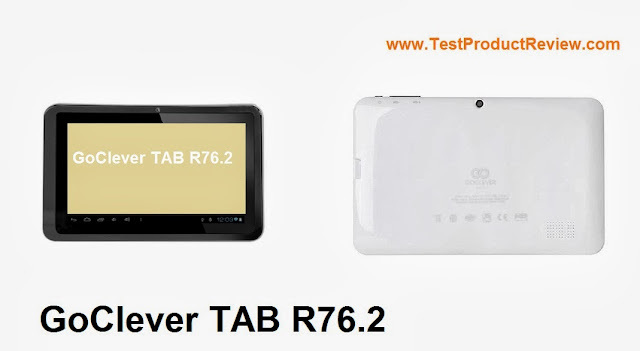 GoClever TAB R76.2 is a 7-inch cheap Android tablet which can be bought with keyboard included in the package (GoClever TAB R76.2 + KB). This tablet doesn't have any high-end hardware parts and that is why you shouldn't expect any spectacular performance from it. GoClever TAB R76.2 is powered by 1GHz Cortex A9 RockChip 2928 single-core processor and has only 512MB of RAM. The storage space is 4GB but you can add more with additional microSD card and expand it with up to 32GB of memory. GoClever TAB R76.2 has 7-inch capacitive 5 point multi touch-screen display with maximum resolution of 1024x600 and 16 bit colors. What is impressive about this cheap Android tablet is the fact that it has two cameras on board - one front and one rear 0.3 MP camera. Another good feature of the TAB R76.2 is the fast 802.11 b/g/n WiFi connection which makes connecting to the Internet quite fast. As for the other connection options that are available in this tablet, you have MicroUSB OTG, Mini HDMI and 3.5 mm headphone jack. The 3000mAh li-polymer battery of the GoClever TAB R76.2 holds charge for around 2-3 hours of active work time. You can find the GoClever TAB R76 for around £60 for the GoClever TAB R76.2 + KB version which comes with keyboard and case. 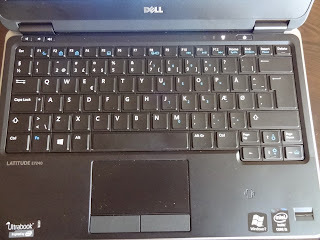 If you are interested in cheap Android tablets than you may want to take a look at the UltraTab Jazz C9259 or the very capable and yet very affordable Acer Iconia Tab A1-810 tablet.